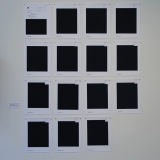 "FAQ: What you need to know about the NSA's Surveillance Program" is an installation of digital prints reproducing the Department of Justice, Criminal Division's response to the ACLU's Freedom of Information Act (FOIA) request to learn more about our government's practice of reading personal email, text messages, social media feeds, etc without a warrant. 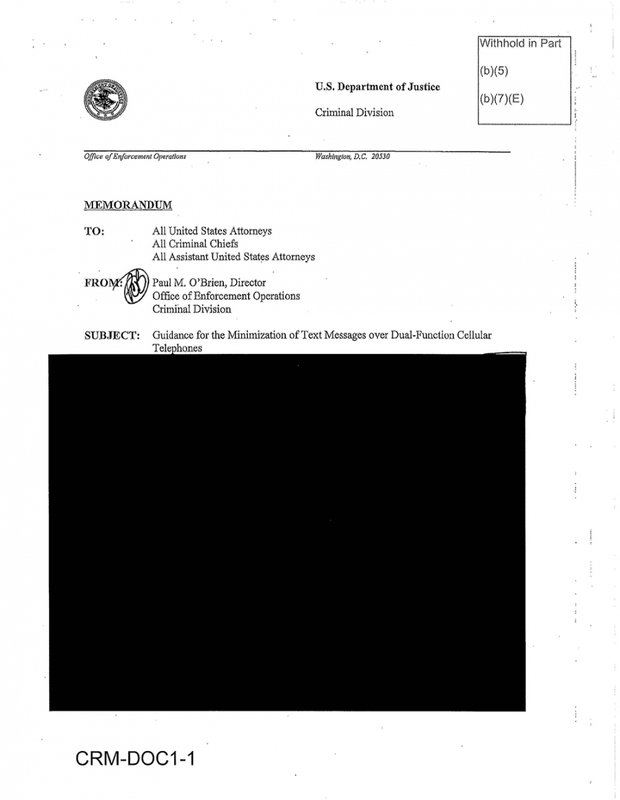 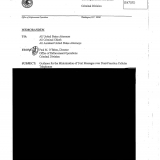 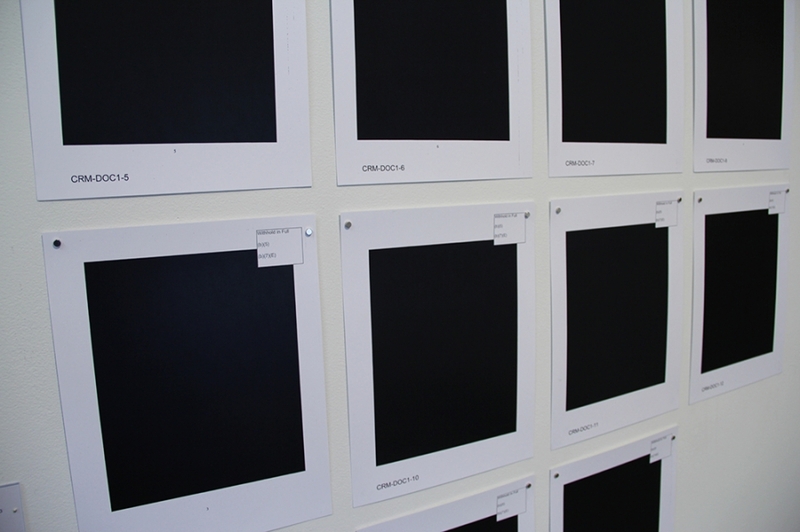 The FOIA requests were filed with the FBI, Justice Department, IRS and multiple U.S. Attorney Offices to try to uncover details about the government's “policies, procedures and practices for accessing the content of private electronic communications.” This 15-page document responds specifically to the protocol for surveilling text messages and is completely redacted save the subject line. 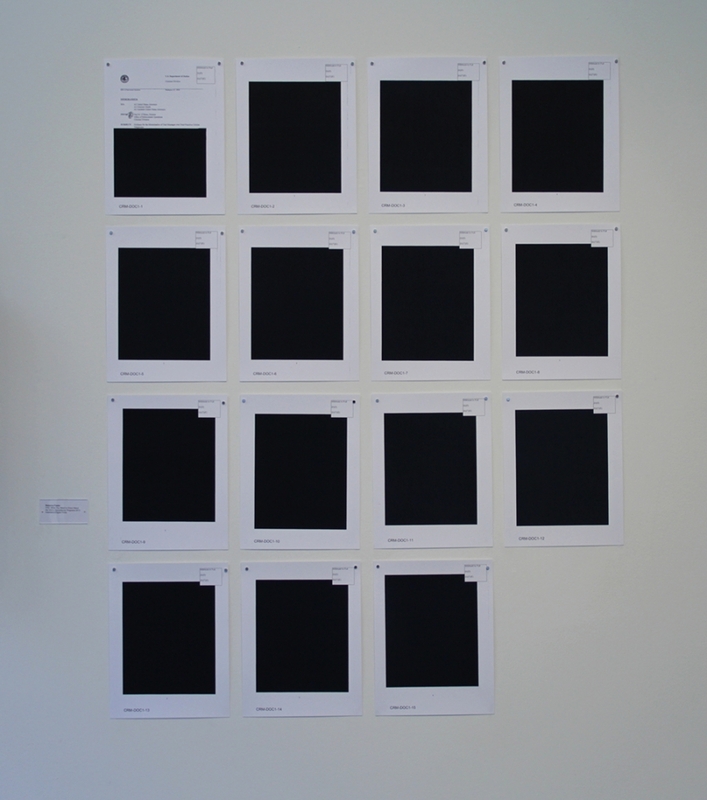 The installation was part of an exhibition titled, "This Will Never Work," juried by Corrina Peipon.